One example of this rise in classic car prices is the current price of the 911 SC and Porsche 914. 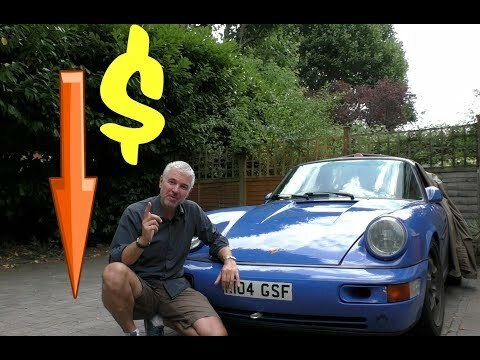 About 5 years ago a very good 911 SC would cost a bit under $20,000. Now you need about $40,000 to find good example. The 914 is even more shocking. A few years ago all but the rare 914/6 could be yours for under $7,000 (with a few exceptions). Now those same cars are often getting well over $20,000 and depending on the year and model, some are going for over $50,000. The same can be said for muscle cars that routinely get well over $50,000 and rare exotics which tend to get millions of dollars. The entire market is in fire. Of course the time to worry is when people are saying you have to buy now or prices will just keep going up. That may remain true for the ultra high end exotic and high end classic car market. On the lower end, things such as interests rates going up and new models and years getting recognized as classic cars, could dilute the marketplace. This video goes into more detail as to why the market may be about to drop. If you buy a classic with some historical significance, then it will always be worth a lot of money. The question is if something like 914 2.0 will continue to be worth a good amount of cash or if it becomes more affordable (at least for a while) in the near future. If nothing else, the market may at least flatten and for many cars this is already the case. Check out the video and then scroll down to the comments and let us know what you think of the current classic car market. Buy wisely what you’d like to drive, and take good care of it. You probably won’t get hurt, and you could get lucky.